Is it just me, or does it feel like there’s been a new Instagram update every other week this summer? 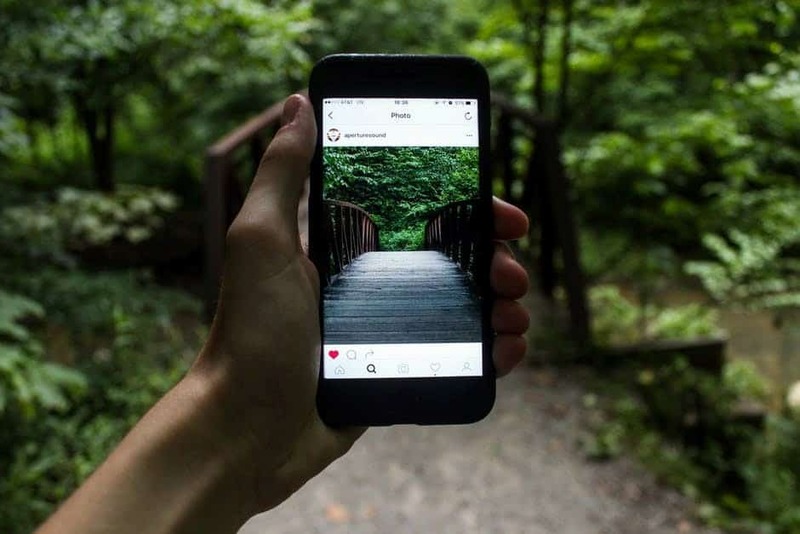 As the social media environment continues to evolve, and people look for new ways to connect online, Instagram is keen to stay ahead of the curve. That means new services, updated algorithms and some serious confusion for influencers and marketers that want to outshine the competition. After all, how can you expect to get the most out of Instagram if you’re not hip to the latest trends? Don’t worry, you’ve come to the right place. Here, we’re going to cover everything you need to know about the biggest summer Instagram updates 2018 had to offer. Let’s start with the technical stuff. In June 2018, IG delivered their brand-new algorithm, leaving businesses wondering how to compete in a brand-new environment. This means that if you want to stay on top with the latest algorithm, you need your content to be relevant and up-to-date, but you also need to develop a strong connection with your target audience. Ultimately, the idea was to give people more of the content they wanted, from the people they cared about most. Before the update, users only saw about 50% of their friend’s posts, while now, 90% of the average feed is made up of content from friends and family. 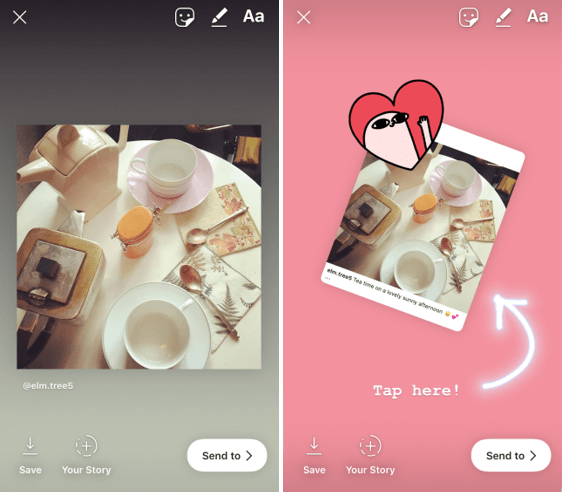 Another new Instagram update to hit the app in June, was shoppable Instagram stories. The new feature brings more action into the Instagram experience, by allowing users to not only find inspiration for their purchases, but also buy the products they want right there on the app. When you see a sticker on Instagram Stories with a shopping bag on it, you can tap it to see additional details about the product. Instagram knows that their users are mainly millennials, and millennials make up the largest consumer base in the world today. In a survey, Instagrammers announced that they generally watch stories to stay up-to-date with their favorite brands, and check out products they’re interested in. By adding shoppable stickers to your stories, companies can instantly upgrade their conversion potential. 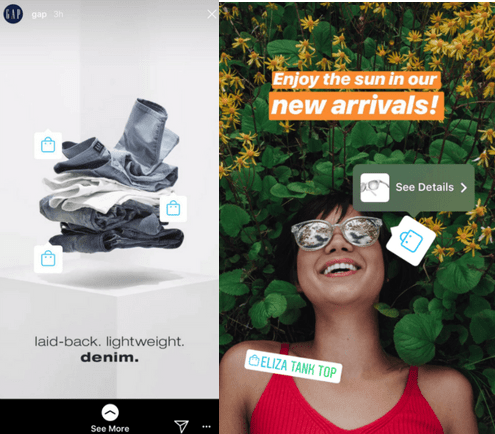 For now, only a handful of companies can use shoppable stories, but Instagram plans to make them more accessible in the future. 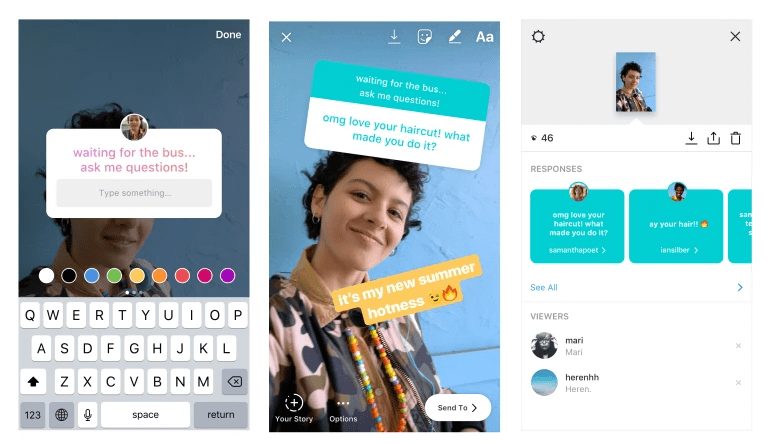 It’s tough to talk about the biggest Instagram updates 2018’s summer had to offer without a nod to Instagram TV. Yep, Instagram has it’s own channels now. IGTV is Instagram’s answer to long-form video content. 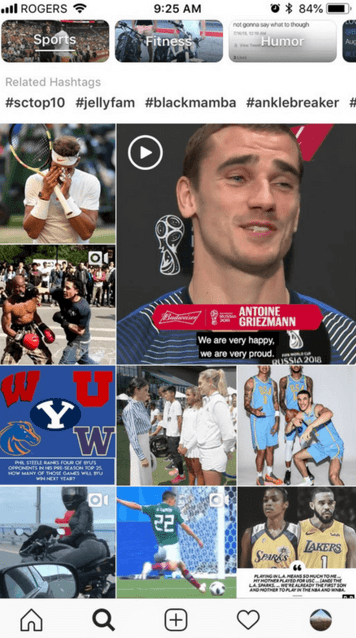 After hitting the billion-user mark, Instagram decided to take their video strategy to the next level, with a stand-alone app specifically devoted to creating and sharing vertical videos. Unlike Instagram Stories, which only supports short 15-second stories, IGTV videos can be up to an hour long. Additionally, IGTV posts also stick around for as long as you like, which means that you don’t have to worry about getting maximum engagement from your audience within a single day. IGTV is already making waves as potentially the biggest Instagram update of 2018, giving companies and influencers a new and improved ways to engage their followers through the power of video. Growing an authentic and organic Instagram following is tough. Fortunately, features like Instagram Stories can help with that. 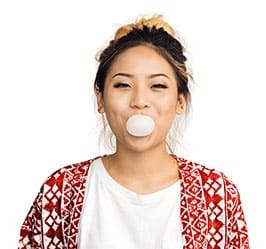 Stories give you a fantastic way to connect with your target audience through snippets of engaging and entertaining content. Of course, it can be tough to find the inspiration you need for a great story. Fortunately, in June, Instagram announced a new feature that allows brands to share inspiring posts on their feed in their stories. Any post you create links back to the original post and includes the original poster’s username. This is a great way for brands to easily drive attention to their feed, promote their latest posts, and more, without needing to manually take screenshots of their content. To use the feature, simply tap the arrow icon under your feed post, click on “Add post to your Story”, customize, and send. Simple. If you’ve updated your Instagram app recently, you’ve probably noticed a few changes to the “Explore” page. The Explore section of Instagram has long been the holy grail for many influencers and marketers. It’s a fantastic way to spread brand awareness and reach out to new potential fans. The trouble is, figuring out how to hack the Explore page can be a nightmare. The new layout is designed to help people see more of what they’re interested in. You’ll notice features like “Topic Channels” and a personalized “For You” channel that takes inspiration from the content you’ve enjoyed in the past. Most importantly, there’s also a list of hashtags that helps users navigate to the posts most relevant to their needs. With over 200 million people using the Explore page every day, it’s a good idea to spend the rest of 2018 figuring out how to tailor your hashtag strategy to suit this new layout. Most of the changes to the IG experience this summer, including the algorithmic Instagram update, and the new Explore page, are all about making the app more “personalized” for each user. Instagram wants the people on their platform to be as engaged as possible. Hour-long videos and layout changes help with that. Another new Instagram update focused on changing the way people interact through Instagram, is the “Question Sticker“. The question sticker allows followers to submit questions for you to answer on your IG Stories. For everyday users, it’s a great way to pass the time with friends. For businesses, on the other hand, the Question Sticker offers a way to interact with followers and customers through live Q&A sessions. You could find out which services your clients want most or answer their product questions in an instant! If you’re looking for an easy engagement opportunity – this is it! Finally, you want as many organic followers on your Instagram page as possible. Unfortunately, browsing through all their posts, and seeing all their notifications every day would be exhausting! 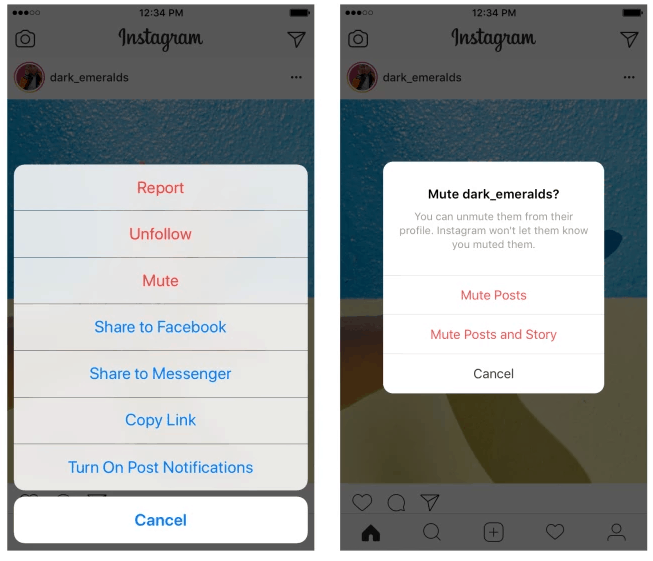 Luckily, Instagram introduced a new “mute” feature in May that lets you press the “pause” button on accounts you don’t want to get notifications from. Ultimately, the new Instagram update is all about giving users more control over the content they see in their feed. However, from a business and marketing perspective, it just makes it a lot easier to manage your social accounts. That’s it. You get a more refined news feed, and your fans get to keep their pride. Everyone’s happy! While it can be tough to keep track of every Instagram update in an ever-changing social environment, the more you know about the channel, the easier it is to grow your presence online. Many of the major changes we’ve seen these summer come with fantastic new ways to improve your marketing strategy and connect with your customers. 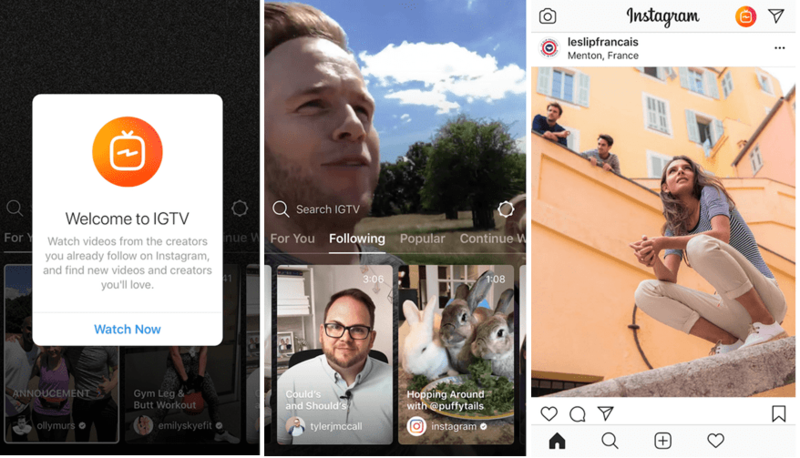 With question stickers and IGTV you can give more personality to your brand. On the other hand, with an education about the new Explore page and Instagram algorithm makes sure you stay in IG’s good books, for a better chance of ranking. Need more help making the most of Instagram? 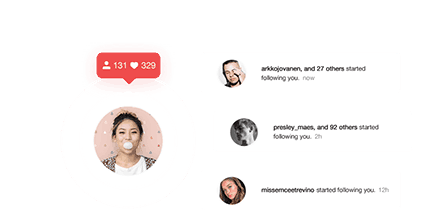 Upleap can infuse your profile with #InstaFame in no time.